Episode 55: Big Game Bob is Back! This week the XFL introduced former Oklahoma Sooners Head Coach Bob Stoops as the new Head Coach and General Manager of XFL Dallas. Football insider Benjamin Allbright (@AllbrightNFL) joins the show to discuss why some people didn’t want to believe his report about Stoops joining the league, why this is a such a big signing for the XFL, and who we might expect to be hired to the other 7 XFL head coaching gigs. 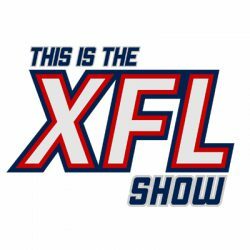 Also on this week’s show: Shooting down rumored coaching candidates, spotlighting the XFL’s League Neurologist Dr. Julian Bailes, and Oliver Luck reiterates that the XFL is not settling for a small time TV deal. Click here to join our newly created Patreon! Get even more content and bonus shows, plus subscriber perks beginning this February! Follow us on TWITTER, INSTAGRAM, AND FACEBOOK! Next PostNext Welcome Football Fans! This is the XFL Show!